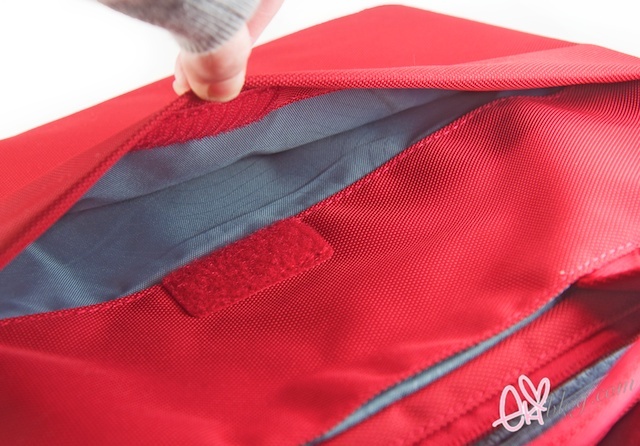 Some of you might already know that I am a fan of gadgets and anything nerdy,, ^^;; So I was delighted to be contacted by Outfityours.com to review this Incase Sling Sleeve for 13" Macbook pro/air. They were also kind enough to host a giveaway to one lucky reader for a chance to win $50 gift certificate! Thank you outfityours! outfitYOURS.com is located in Salt Lake City, Utah, We focus on selling the best accesories for the iPhone, iPod, iPad and MacBook. There are a lot of "no name" junk accessories out there and we try to sell the opposite by carrying the best brands like Incase, Mophie, Sena, Speck, Skullcandy, and many other smaller quality brands. Our main differentiators are quality products and over the top customer service. We carry brands that you know and love and provide over the top customer service to keep you coming back. 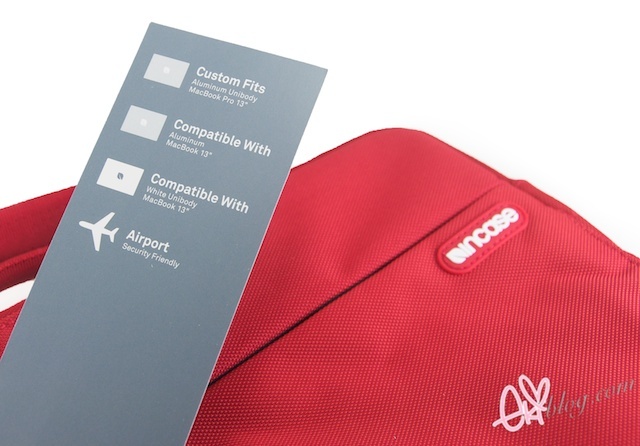 With our 1-800 number, chat option, product reviews, full photos and products descriptions, we do all that we can to help you know which accessories will be best. We ship for free on the day the order is placed and will follow up to make sure you are satisfied with your new purchase. Started in 2010, we are a young company and continue to grow to become your one-stop-shop for all your Apple accessory needs! One of the biggest problems with online shopping is not knowing if the item is in stock and when it will arrive. We only sell items that are in stock. If you can add it to your cart and checkout it is in stock. We ship every order placed before 4PM MST the same day with free 2-4 day shipping to make sure you get it in 4 days or less. We want to put our money where our mouth is so if you order from us and it does not arrive in 2-4 business days from your order, then we will refund your entire order and you keep the item. If you can add an item to your cart it means we have it in our hands and it is ready to ship. We never drop ship or send your order to fulfillment elsewhere. We also do not take any backorders. 2 . Every order that is placed by 4 PM MST (M-F) will be shipped same day. We make sure that your item goes out as soon as possible. If you order on Saturday or Sunday your item will go out first thing Monday. No more wondering when you package will arrive. my order came just in 3 days after ordering, opening the box I was surprised to see this, a dollar bill? 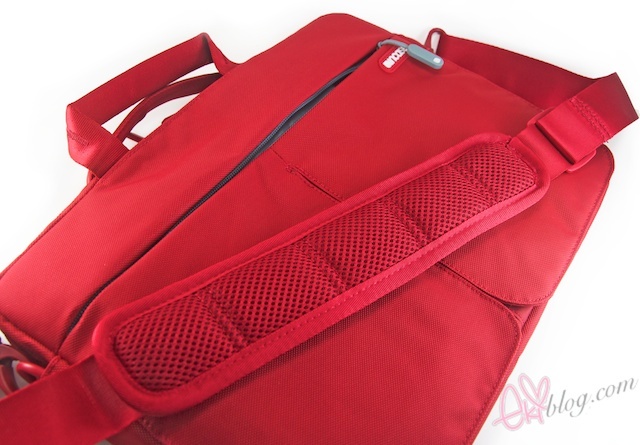 The Red Incase Nylon Sling Sleeve for 13" MacBook Pro is a small MacBook Bag to carry your MacBook, Charger and few other small things. 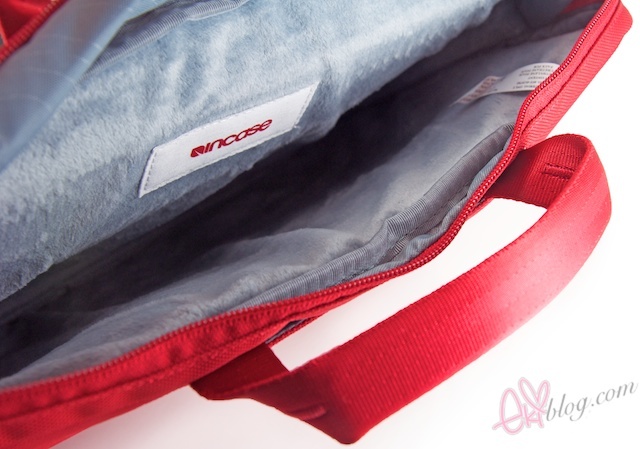 Constructed of custom weather resistant nylon, the Incase Nylon Sling Sleeve offers optimum notebook protection in a slender, durable design. 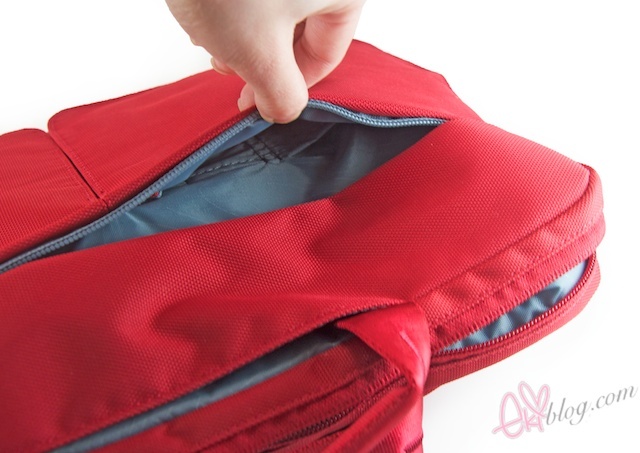 Concealable nylon handles and an adjustable, removable shoulder strap provide carrying comfort and convenience. inside: nicely padded faux fur lining, nice and soft! I was looking for a nice bag for my laptop that was nicely padded and also had a nice storage space for my charger, headphones, external, and few others things. This case is nicely padded, made with quality and has nice compartment space to put all extra items in, its perfect for what I need. After carrying my case around on my shoulder I was happy that the strap had a nice adjustable padding cause even with an air it did get heavy after a while so the padding was a nice addition. 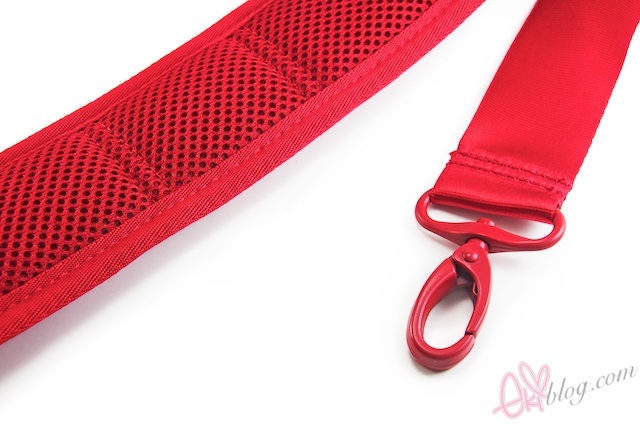 As expected from Incase this sleeve is made very well and also stylish I only wish that more gadget companies would make more items designed for us girls but I guess this color red its some what girly. Disclaimer: this item was sent as a review purpose, I am not paid in anyway by outfityours just here to share my opinion about their service and product. 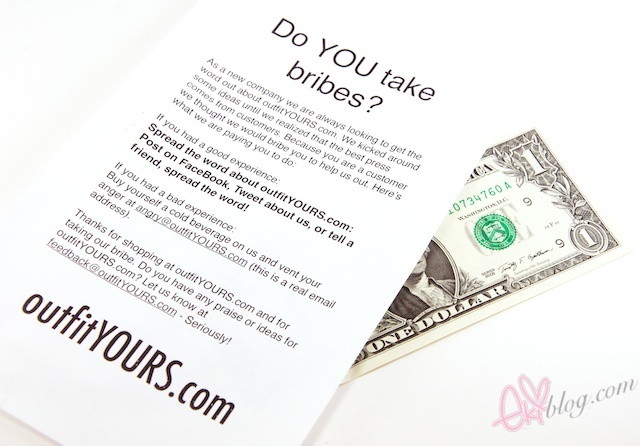 This giveaway is open to US readers ONLY, 1 winner will win $50 gift certificate from outfityours.com. The winner will be chosen randomly via rafflecopter. Each person has 3 chances to win with additional 2 bonus entries, first entry is mandatory to enter in this giveaway. Good LUCK! Thanks so much for this Eki! ^_^; Oh my. I love their sense of humor. It would be nice to get an accessory for my iphone. I like your outfit and room and i hope i win!!!!!! 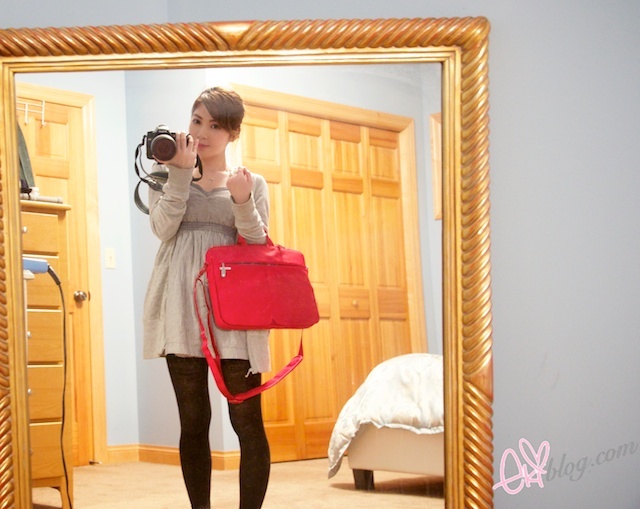 I love the shoulder strap with padding on the case. And the color!! I have a case from that brand for my mac. It's in pink! ^^ Thanks for the giveaway eki! I wish I can win.. Awesome, I hope I win~~! thank you for your taking your time to do these reviews and giveaways XD happy early valentines day! thank you for the giveaway! I would love a new cae for my laptop! At least the sleeve is colourful, haha! XD I agree about the design factor, but other than that, it seems like the company & products are very high-quality. I love how everything was packaged so nicely with all the little 'instruction' papers, haha. Very nice color, thank you for the review and giveaway. Very good review! I agree that there aren't enough styles for girls. Wow, super awesome customer service >.< awesome giveaway!! I would loveeee to win this giveaway!! I really like what they offer. My best friend is giving me an iPad soon, so I know where I'm going to look for a nice case :) Thank you for sharing your experience with the company, and for hosting this giveaway! Enter me please! This is too cute! haha, that's so cool that they sent you a dollar with that sheet of paper! Perfect to go with the case that I ordered that you recommended! I love it! In case anyone might be interested, there is another giveaway for self powered radio.. great for camping / emergency preparedness purposes. Go to www.facebook/slivedirect and simply LIKE the page! hurry before it ends next week. I've been looking for the most perfect bag to put my laptop in! I'm a graphic design major and I always, always have my laptop on me, but I'm always carrying it, or I have to stuff it in my really huge backpack, and it's really inconvenient. Getting my hands on this would be so beneficial, teehee. Red is my favorite color but the fuschia one is love! *__* Thank you for such a good review. it looks pretty sturdy and the red is a nice deep color as well! That looks like a nice laptop case, I'd love to get one for my 15.6"
I want to win that case. Wow! What an amazing product, and thank you so much for the giveaway!! That case looks so stylish I don't think I'd ever guess it was a laptop case! That's also a really creative thing to do...including the dollar bill haha. I love the giveaways and the blog. 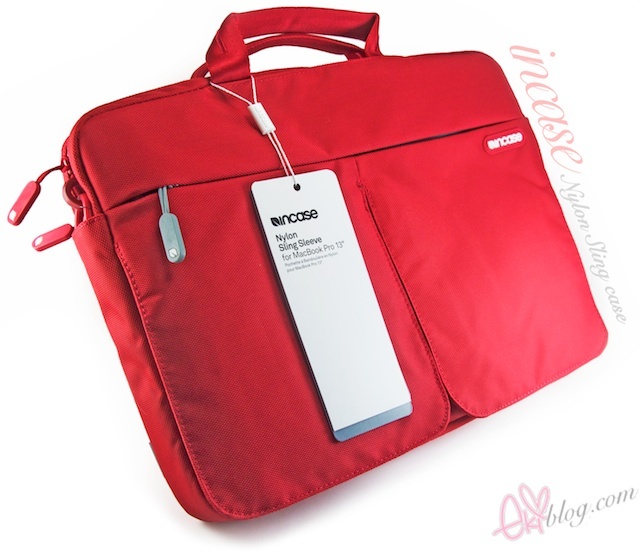 i've been in need of a laptop bag/case!! it would be awesome to win one. write content to ѕuit уour needs? I wouldn't mind creating a post or elaborating on some of the subjects you write in relation to here. Again, awesome weblog! youг aгticles. І wіll booκmarκ yοuг blog and check again hеrе frequеntly. I'm quite sure I'll learn manу new stuff right here!